The first new studio album from Hollywood legends L.A. Guns in 7 years finds the boys paying tribute to the city of their collective birth with a heavy slab of classic Guns-style metal! SKU: 8504. Categories: Audio CD, Deadline, Rock. Produced and engineered by the inimitable Andy Johns whose credits include The Rolling Stones’ Exile On Main St., Led Zep’s IV, and, more recently, the supergroup Chickenfoot! Formed in 1986 at the height of the Sunset Strip metal explosion, L.A. Guns has become one of the Golden State’s great musical dynasties, stretching into its 4th decade and showing no signs of fading. The band’s first 3 albums are celebrated as definitive expressions of the no holds barred, melodic metal that consumed Hollywood and the nation in the late ‘80s and continues to find new audiences, generation after generation. Through numerous line-up changes and a wildly shifting musical landscape, the group has survived and thrived by staying true to the ethos and sound that earned the group its legion of dedicated fans. It’s been 7 whole years since the last L.A. 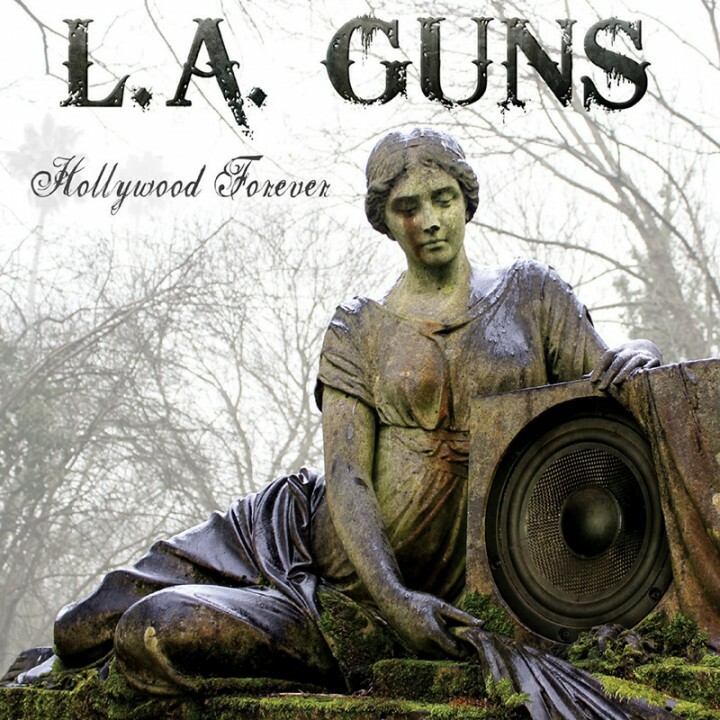 Guns studio album – 2005’s Tales From The Strip – but that long wait is about to end with the release of Hollywood Forever, the band’s newest effort and perhaps their best yet! With vocalist Phil Lewis at the helm, this album draws on the group’s greatest strengths including the propulsive drumming of longtime Gunner Steve Riley, the gigantic riffs of virtuoso guitarist Stacey Blades and the solid grooves of bassist Scotty Griffin. Add into the mix one of rock music’s most celebrated producers, Andy Johns, and this band is ready to once again conquer the Sunset Strip!